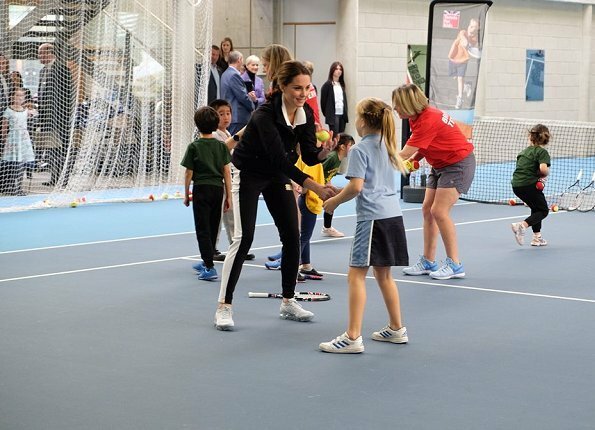 On October 31, 2017, Duchess Catherine of Cambridge visited the Lawn Tennis Association at National Tennis Centre in London, England. 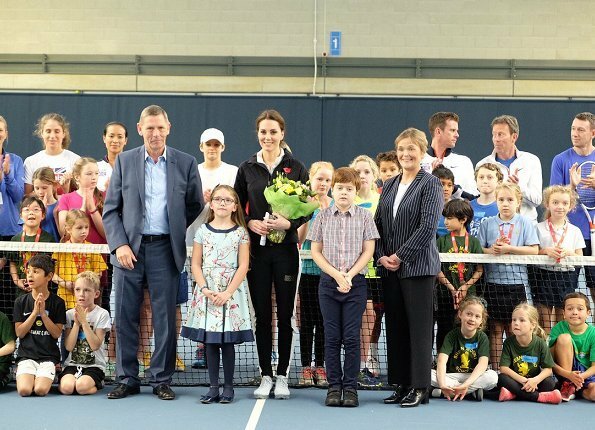 The Duchess of Cambridge became Patron of the LTA (Lawn Tennis Association) in December 2016. She looks really good - and healthy, happy and involved in the event. I hope she feels every bit as wonderful as she looks! 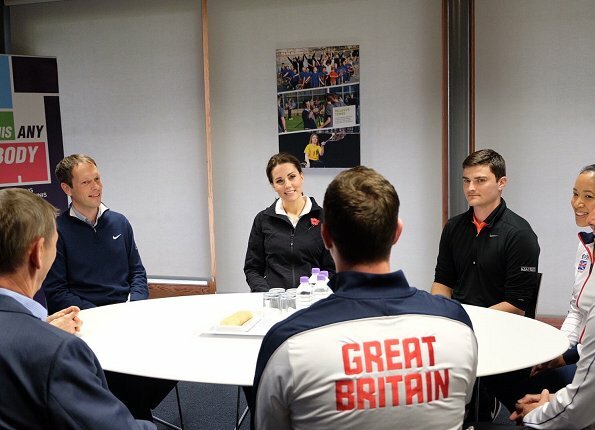 She looks wonderful even in sweatpants, quite a challenge to follow suit really.